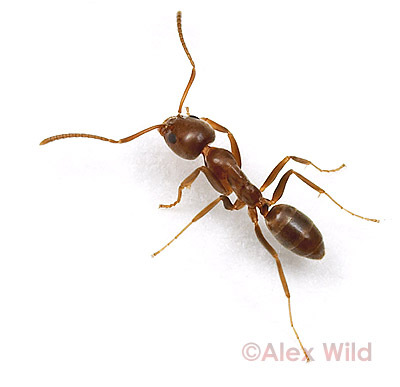 In California, the pesty ant that invaded our kitchen was the Argentine ant (Linepithema humile). In Tucson, we had South American rover ants (Brachymyrmex patagonicus). Here in Illinois, our kitchen ant is a native species, Tapinoma sessile. At any given moment we probably have two or three wandering about our countertops.